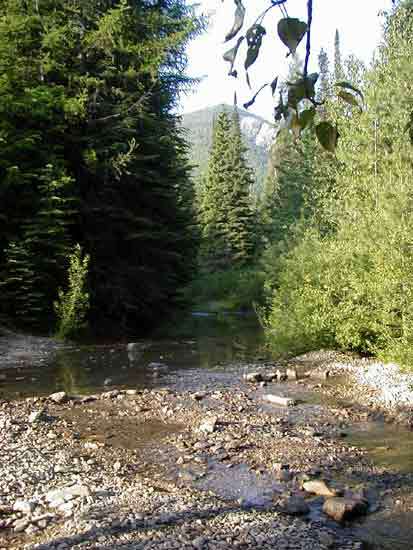 The Libby Creek Recreational Gold Panning Area is located 23 miles south of Libby, Montana, within the Kootenai National Forest. 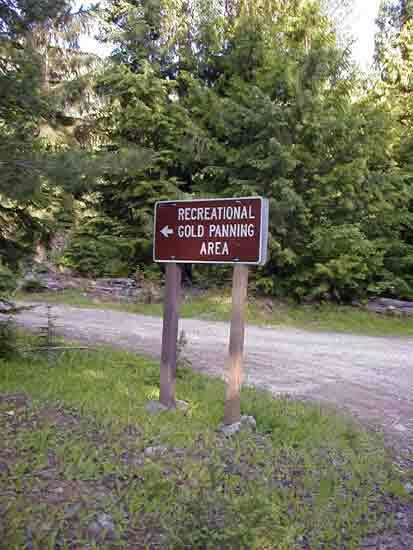 The public is allowed to pan for gold within this area and any gold you happen to find is yours to keep. Some rules do apply, but this is a great recreational opportunity for the whole family. Howard Lake Campground is one mile south of the Gold Panning Area and offers fishing, hiking, swimming, boating and camping facilities. The gold bearing gravels found in the area were deposited as a result of alpine glaciation between 10,000 and 130,000 years ago when glaciers gouged rock off the mountain peaks and carved the valley bottoms. The glaciers left deposits of till and moraines at the edge of the retreating ice. 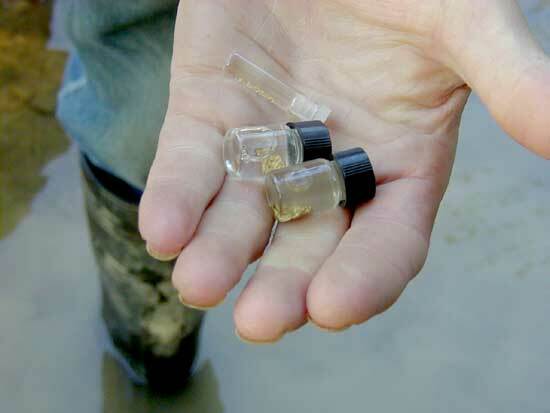 Water from the Libby Creek, Howard Creek and other streams have reworked portions of the glacial moraine concentrating the gold in the channels of Libby Creek and what is now known as the Libby Creek Recreational Gold Panning Area. The history of gold prospecting along the Libby goes back to the early 1860s. By 1867 there were between 500-600 miners working on Libby Creek in a mining camp names "Libbysville". Mining activity was short-lived, and by 1876 only one miner was reported to be working the creek. Placer mining activity ended in the mid-1880s. In 1885 a second rush began in the area of Libby, Poorman and Bear Creek when miners filed claims on Libby Creek and hundreds of miners worked the area. A tent camp was established in the Libby Creek Mining District by 1886 and named "Lake City" or "Oldtown". A store in the mining camp was supplied by a packstring that brought supplies in via a trail from Thompson Falls. Mining on the Creek hit its peak from 1889 to 1909. Mining activity and claims were located in the vicinity of the Gold Panning Area through the late 1880s and early 1890s, but no major mining development took place. The mineral claims in the gold panning area were surveyed in 1901 and ground sluicing began in the early 1900s. Hydraulic mining operations began in around 1909. The claims were sold in the 1930s to the Libby Placer Mining Company which installed hydraulic mining equipment and flumes on their claims on Howard and Libby Creek. There were 15 men employed to work the operation. Cabins were built in 1932, the remains of which can still be seen near the bridge crossing over Libby Creek. In 1938 a dryland dredge worked the gold panning area and remained in operation until 1940. Hydraulic operations were utilized in the area until 1947. The present gold panning area was acquired through a land exchange in 1987 and opened to the public in 1988. The gold found today is basically overlooked or left behind by the earlier dredging methods. 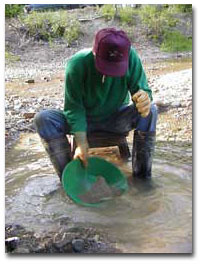 It is estimated 10 to 15% of the original gold remains so the odds are fair for the fledgling or expert gold panning prospector. There are no developed parking lots or camping facilities at the Gold Panning Area. Camping at the Panning Area is primitive with dispersed sites. A men's and a women's restroom are located in the main panning area. For those planning on longer visits to the area, Howard Lake Campground is located one mile south. This is a developed fee campground that offers swimming, fishing, hiking, a water well, RV pull sites, and toilets. The turnoff to Libby Creek Road is approximately 13 miles south of Libby, Montana on Hwy 2. The Gold Panning Area is an additional 10 miles up Libby Creek Road #231. This road is graveled and well-maintained. 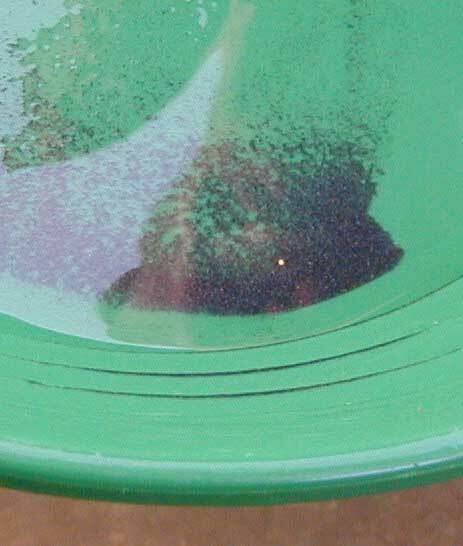 Placer material shall not be removed from the Mineral Withdrawal Area (Libby Creek Recreational Gold Panning Area). 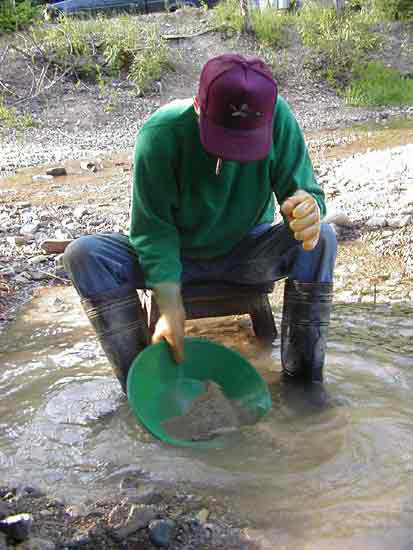 All material must be processed within the Libby Creek Recreational Gold Panning Area and we ask that you limit yourself to one or two 5-gallon buckets at a time. Only hand tools and pans are allowed for prospecting. No motorized* or mechanized** mining equipment is allowed. Please "Pack it In/Pack it Out". There is a 14-day camping limit. No discharging of firearms within the Libby Creek Recreational Gold Panning Area boundaries. *Motorized equipment is any equipment having or using an engine, motor, or powered by electricity. **Mechanized equipment is any device designed to increase production above the level obtained with gold pans and hand tools. Examples include: Sluice boxes, Dry Washers, Rocker Boxes, Wheelbarrows and Metal Detectors. 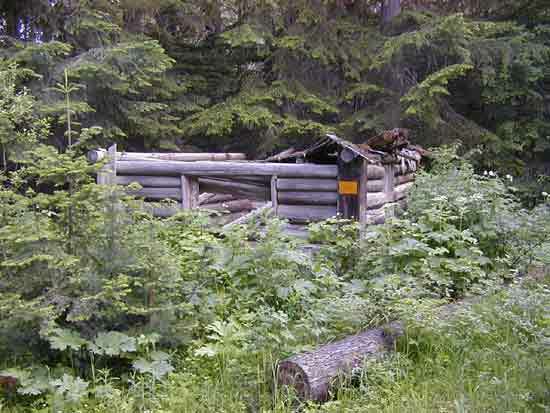 Please Protect the Past for the Future Please do not collect or vandalize historic cabins, artifacts or mining equipment in the area while excavating for gold so that we can all learn from the history of the area.